Storage dilemmas are one of the top priorities facing factories and warehouses around the country. It ranks right up there with safety and budget issues. Without proper storage, a warehouse runs the risk of becoming overcrowded, disorganised, and inefficient. Options for various types of storage abound. Cantilever storage racks are a great choice for the warehouse manager who’s looking for the perfect storage option for large, heavy, and bulky items. What Are Cantilever Storage Racks? Cantilever racks are storage racks built with large, bulky, or oddly shaped materials in mind. They utilize supports called arms, which are secured to beams in the rear of the rack—either to walls or larger support beams. The arms can be used to stack materials freely without the restraints of walls or separator beams. What Are the Advantages of Cantilever Storage? These storage systems are heavy duty. This makes them a great choice for those storing heavy materials such as lumber, metals, or scrapped cars. The open system allows easy access to inventory because there are no shelves or walls to block the view. This allows employees or customers to quickly inspect available inventory and root out exactly what they’re looking for. Cantilever systems have multiple applications. They can be used single sided, or they can be used double-sided if installed with proper support anchors. Pieces can often be used interchangeably, so adding on to your cantilever shelving is a feasible option for those needing extra storage. They can also be rearranged or reformatted to better meet future needs. Customizable options are readily available. This allows a factory or warehouse to create a unique system that works specifically with their individual needs. Storage heights and depths are available in a wide range of levels, and capacity levels can be increased or decreased to meet demand. Keep in mind that these types of systems are often best accessed by forklifts. This is a safe and efficient method of stacking or retrieving inventory. Cantilever systems are typically not as useful for those whose focus is on smaller or lighter products that are easily stored in bins, on shelves, or on pallets. However, if your products are large, bulky, or heavy, it can be beneficial to consider cantilever style storage racks. You can buy cantilever storage racks online from trusted companies who have been providing shelving and racking options for warehouses and factories for years. 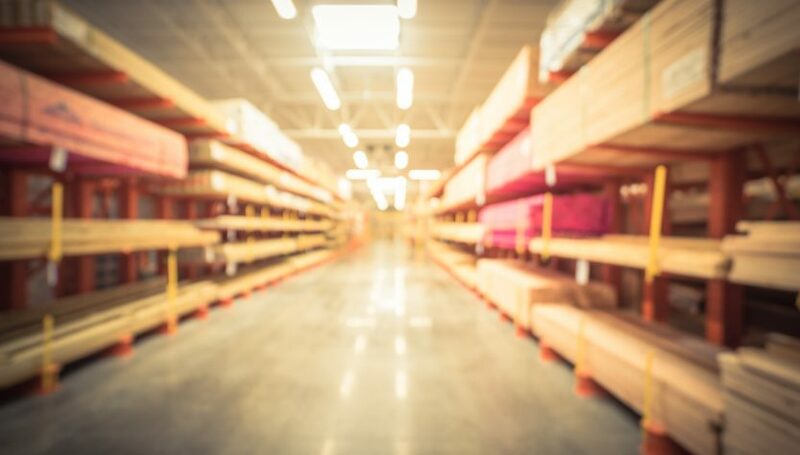 These reliable partners can help you evaluate your warehouse needs and determine exactly which type of system will be most effective for your space. If you are searching for the perfect storage option for your large or bulky products, cantilever storage racks can provide the customization, access, and versatility that makes working with heavy objects easier.